Last week, Year 6 Holly class spent a week with INTO University focussing on Science Journalism. On Monday, Wednesday and Thursday, they found out about universities and different courses they might like to study. They also worked together to make posters about their research. On Tuesday, they had a very exciting day! They travelled on the Emirates cable car over the Thames and visited an exhibit called The Crystal to learn about sustainable cities. 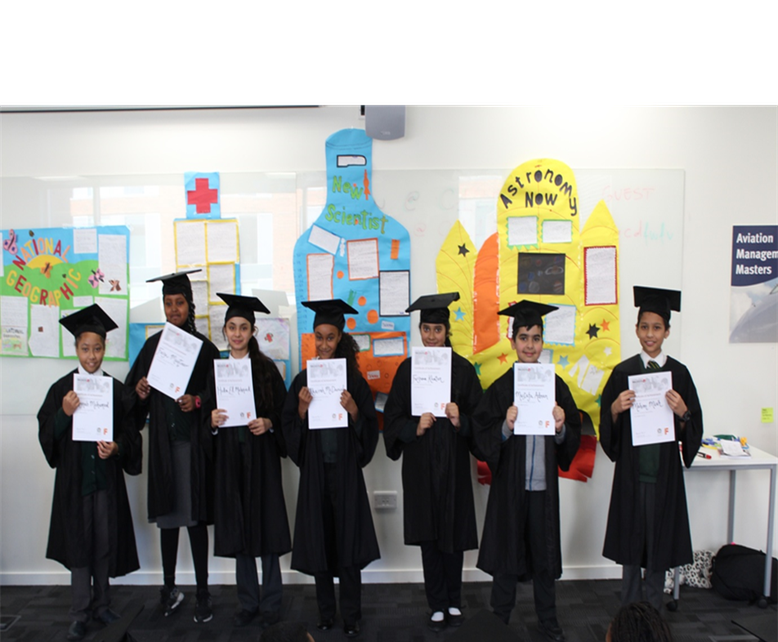 On Friday, they travelled to City University for their graduation ceremony, which lots of parents and carers attended.